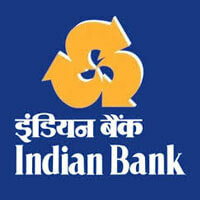 Indian Bank Recruitment 2018 notification for 417 vacancies of Probationary Officer across the country through one year Post Graduate Diploma in Banking and Finance (PGDBF) course at Indian Bank Manipal School of Banking (IBMSB).The detailed eligibility and application process are given in below. There may be penalty for wrong answers marked in the Objective Tests. For each question for which a wrong answer has been given by the candidate one fourth or 0.25 of the marks assigned to that question may be deducted as penalty to arrive at corrected score. If a question is left blank, i.e. no answer is marked by the candidate; there may be no penalty for that question. Candidates who have been shortlisted in the Main examination may subsequently be called for an Interview to be conducted by the Bank. The total marks allotted for Interview are 100. The minimum qualifying marks in the interview are 40% for General and 35% for SC/ST/OBC/PWD candidates. The weightage (ratio) of the Main examination and interview will be 80:20 respectively. The combined final score of candidates will be arrived at on the basis of scores obtained by the candidates in the Main Examination and Interview. How to apply for Indian Bank Recruitment 2018? All interested and eligible candidates can apply for this position in online from 1 August 2018 to 27 August 2018. Payment of Application Fee through online: 1 August 2018 to 27 August 2018.